This group, meets on the 3rd Saturday of each month from 10:30am to Noon. Projects range from learning how to solder to make your own fleece blanket. There is a fee for each meeting but we try to keep the fee between $10-20 and have scholarships available upon request. We don’t want anyone to be turned away because of cost! The idea behind Junior Makers is to join together and MAKE and learn. All materials, instruction are provided and registration is through Brain Monkeys. Drop ins are welcome but prior notice allows us to have supplies ready. Check out the Store page for current meeting themes, details and to register! 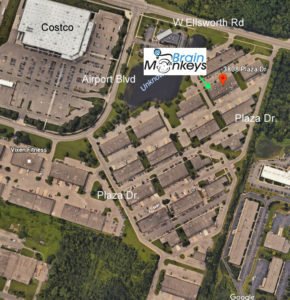 We meet at Brain Monkeys, located at 3808 Plaza Dr., Ann Arbor. Go to our Store page for more information and to register! 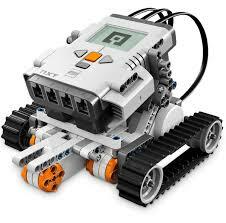 This is a free monthly robotics club for kids. We meet the 4th Tuesday of the month from 6:30-7:30. Ages 7+ are welcome and no experience is needed. This group allows kids to learn some basic programming and we use the Lego Mindstorms Robotics Kit and programming environment. We meet at Brain Monkeys, 3808 Plaza Dr., Ann Arbor. Monthly themes may be added and there is no need to register for this event. Contact us for group robotics one time program rates.